Not that long a go my family decided to do something this year that is really exciting for me, my sister and I have wanted to do this for as long as we can remember. 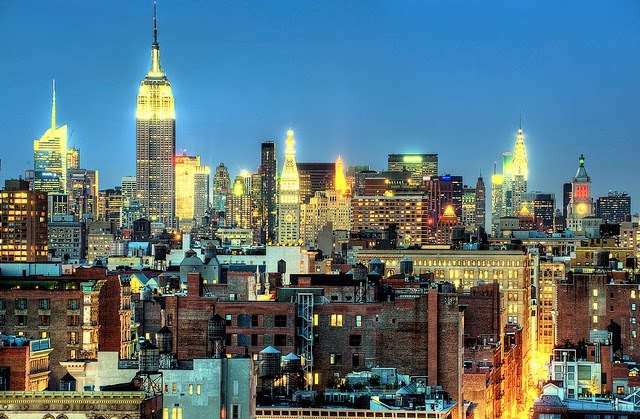 Anyway I will stop beating around the bush and get to the point, we are going to New York! I know some of you will be thinking that it isn't that special or will have different views on it but I am so excited and I cannot wait! We aren't going until later in the year but we wanted to book it early to get a good deal which we did! 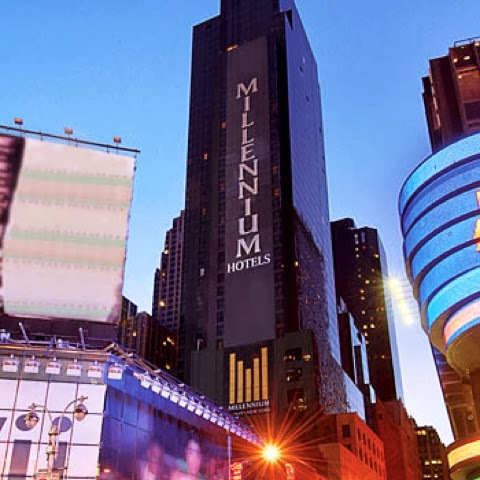 We are staying for 5 nights in a hotel called The Millennium Broadway right on Times Square (I shall put a picture below) which makes me unbelievably excited on it's own because just imagine the views you will have?! Our rooms will on the 28th floor and up as we have superior rooms, me and my sister are sharing one and then my parents will have the other. The hotel is situated right between the Rockerfella Centre and the Empire State Building and these are both attractions that I really want to do. What makes it even better is you literally step outside the hotel and you are amongst the rush of the city! From now I am not buying anything that I don't need and I am saving all of my money to put towards spending money, I mean come on you can't go to New York without money. This trip is also for my sisters 21st birthday which I think makes it even more special in a way because we don't normally go on holiday as a family, it's either me and my sister go or my mum and stepdad go away for the weekend. So it will be really nice to all go on an airplane together and have a family holiday! I just wanted to share my excitement with you and hopefully have some people to get excited with! Towards the time that we go, which isn't for quite a while, if you guys want me to I can do more blog posts to do with travelling, i.e. Travel make up and so on; just let me know! I hope you have all had a good start to your week and that you enjoyed my new segment I started on Friday!